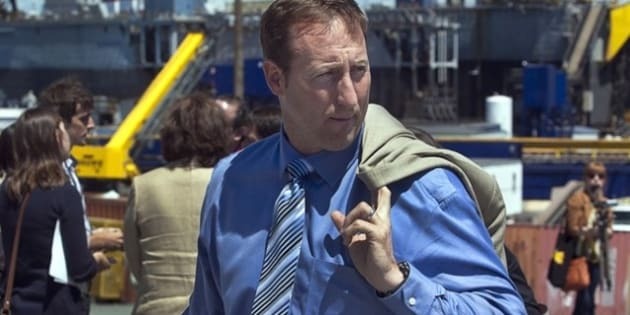 OTTAWA - Defence Minister Peter MacKay says rumours of his political demise are greatly exaggerated. With a cabinet shuffle expected in the coming weeks, Ottawa has been alive with speculation that MacKay is about to be shuffled out of cabinet or is planning a jump to a lucrative private-sector job. Not so, the minister said Thursday. "I've been hearing that almost since the day I entered public life — that I was leaving. My focus is very much on my family but also on my broader responsibilities as an MP and a minister," MacKay said in an interview. MacKay said he knows he serves in cabinet at the pleasure of Prime Minister Stephen Harper, and added he has had no discussions about a portfolio shift. MacKay said the recent birth of his first child, a son, has changed his view of the world, but not his commitment to public service. "There's no question that anyone who's had a newborn enter their life recognizes that your priorities inevitably shift towards care and love for that child. So you see the world almost through a new set of eyes," he said. "With that in mind, I'm also cognizant of the fact that I got into politics to try to serve my community, my province, my country. And that includes my son." MacKay said that not only does he want to stay in politics, he'd like to stay on as defence minister, a role he described as the best job he's ever had. "I love it, interacting with the best Canadians I've ever met — the Canadian Forces," he said. "It's the thrill of a lifetime. The single greatest honour I've had in public life is working with the Canadian Forces." MacKay was speaking after an event at the Ottawa airport to announce the start of the delivery of a new fleet of Chinook helicopters. Military procurements have offered their share of political headaches to many a defence minister, and MacKay has been no exception. The auditor general offered a scathing indictment of the long-running F-35 stealth fighter saga that ultimately led to the Defence Department losing control over procurement to the Department of Public Works. The current delays in replacing the navy's fleet of maritime helicopters pre-date the Conservatives' rise to power in 2006 by more than a decade. MacKay was a key player in the founding of the current Conservative party, which represents a merger of the old Progressive Conservatives, which he led, and the Canadian Alliance, which Harper led. MacKay became Harper's first foreign minister, serving for a year, until he was moved to defence in 2007, where he has become one of the longest serving ministers in one of the toughest portfolios. MacKay has been dogged by other controversies, not the least of which was the allegation that he used a search-and-rescue helicopter to airlift him on a vacation three years ago. Rumours of MacKay leaving politics have surfaced before. But the minister himself also contributed to the speculation about his future after he told the National Post newspaper recently that he would consider quitting the party if it changed the rules on how it selected its leader. MacKay deflected on that topic Thursday saying, "we're not at the convention. We're not having that discussion." Despite the bump and grind of a tough job, MacKay insists he would like to keep doing it. But he's perfectly clear on the fact that his fate lies firmly with Harper. "That is in the hands of the prime minister," he said. "I still feel like I have something to offer. I still feel I can contribute positively to public service. To that end, I'm optimistic about the future."